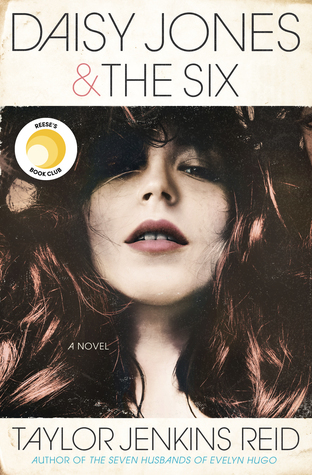 Summary:"A thrilling tale of adventure, romance, and one girl's unyielding courage through the darkest of nightmares. Epidemics, floods, droughts--for sixteen-year-old Lucy, the end of the world came and went, taking 99% of the population with it. As the weather continues to rage out of control, and Sweepers clean the streets of plague victims, Lucy survives alone in the wilds of Central Park. But when she's rescued from a pack of hunting dogs by a mysterious boy named Aidan, she reluctantly realizes she can't continue on her own. She joins his band of survivors, yet, a new danger awaits her: the Sweepers are looking for her. There's something special about Lucy, and they will stop at nothing to have her." Thoughts: Have you ever seen the movie The Day After Tomorrow? For some reason, this book reminds me of that movie, only subtract the subzero temperatures and add in a plague or two. In Ashes, Ashes, 99% of the world has died due to plague. The majority of New York has been covered under water and is now divided into islands. For Lucy, this means survival. Out of everyone in her family, she was the least likely to survive, yet she did and is now trying to stay alive. 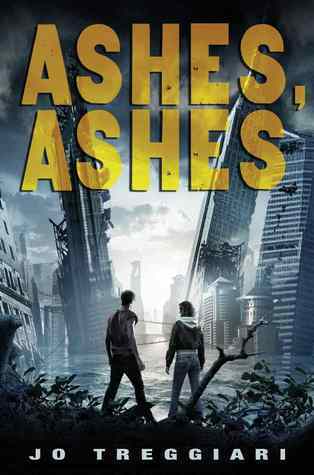 To be honest, I liked the idea behind Ashes, Ashes and while I enjoyed the story, it also wasn't exactly my favorite dystopian novel. For about 100 pages of the story, there was barely any dialogue except for one freak encounter with a boy named Aidan. It was all about survival. I enjoyed the way the author described New York as it is after the diaster. She uses a lot of rich details, where I felt like I was there, taking it all in. I also liked how the author wrote about how the world ended up in this state and the "Before" rather than letting readers figure it out on their own. That was a nice touch! And the concept behind the Sweepers was also another nice added bonus. The romance between Aidan and Lucy, while sweet, felt a little forced. I guess you have to put in consideration that with only 1% of the population left, beggars can't exactly be chooser. Aidan's a good guy, but is he swoon-worthy? Hmm, not to me, but other readers might think so. And the ending? I don't know, maybe it's just me but I felt a bit unsatisfied with the way the book ended. It still left me with a few important questions unanswered. I guess that's what the sequel is for! Overall, I liked Ashes, Ashes but I didn't love it. I would recommend Enclave by Ann Aguirre over Ashes, Ashes, however, that's not to say that you still shouldn't check it out. I'll most likely read the sequel (if there is one), but I don't think it'll be something I'll rush out to read. I have a really hard time reading books without much dialogue. I have been reading some really mixed things about this one lately. I did receive a review copy so I do plan on checking it out, but thanks for the heads up and the review! I had the exact same feelings! I also didn't like what she does with the vial at the end. Hello? She could have given it to the healer at camp! Great review. I have been wanting to check this one out but I may just wait to get it from the library now. Thanks for the honest review! I'm interested in checking it out to see what I think, thanks for sharing your thoughts! Dialogue is key in a book. I have seen some people enjoy this book so I think I would give this book a shot but it might not be high on my to read pile.